Linen is one of the most biodegradable and stylish fabrics in fashion history. It is strong, naturally moth resistant, and made from flax plant fibers. Linen can withstand high temperatures – making the fabric generally perfect for everything. Sleeping on linen bedding or using it in your kitchen or just relaxing on a tropical island. It absorbs moisture without holding bacteria. In fact, it is actually stronger when wet than dry and becomes softer and more pliable the more it is washed. It just gets better and better! Flax grows naturally and requires no additional water other than rainwater, making it the most eco-friendly fabric. Because it’s a natural fiber, flax linen is recyclable and biodegrade. The whole flax plant can be used, leaving no waste. According to the European Confederation of Linen and Hemp, flax respects the environment and preserves the land. Very little energy is required to process flax. Linen yarn is inherently strong, which reduces the need for starching during spinning and weaving. Flax linen is many times stronger than cotton, which means clothing, window hangings, and upholstery made from linen is made to last, rather than wind up in a landfill. Most Lithuanian companies use low-impact dyes to keep it certificated with a STANDARD 100 by OEKO-TEX®. You can use linen textile in your kitchen and to decorate your table for every occasion as it looks simple but luxurious at the same tame. You can find many linen goods for your kitchen and dinning in CozyLinen shop. 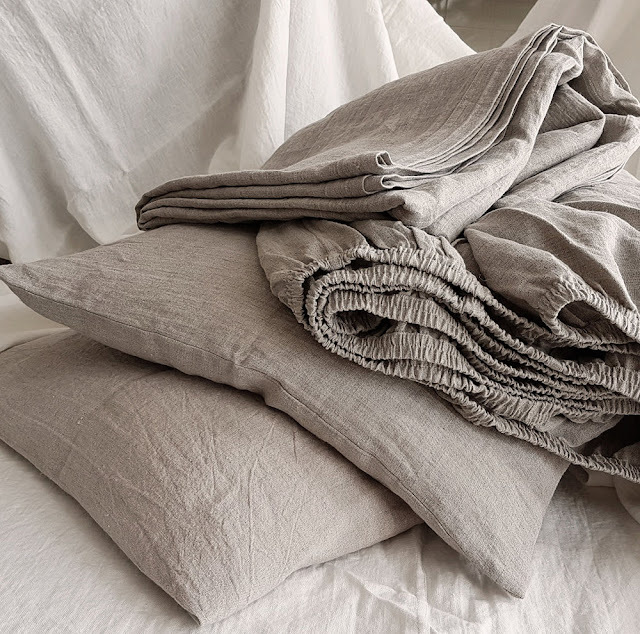 Designer Ingrida uses only 100% organic and toxin free certificated linen for all her collections. 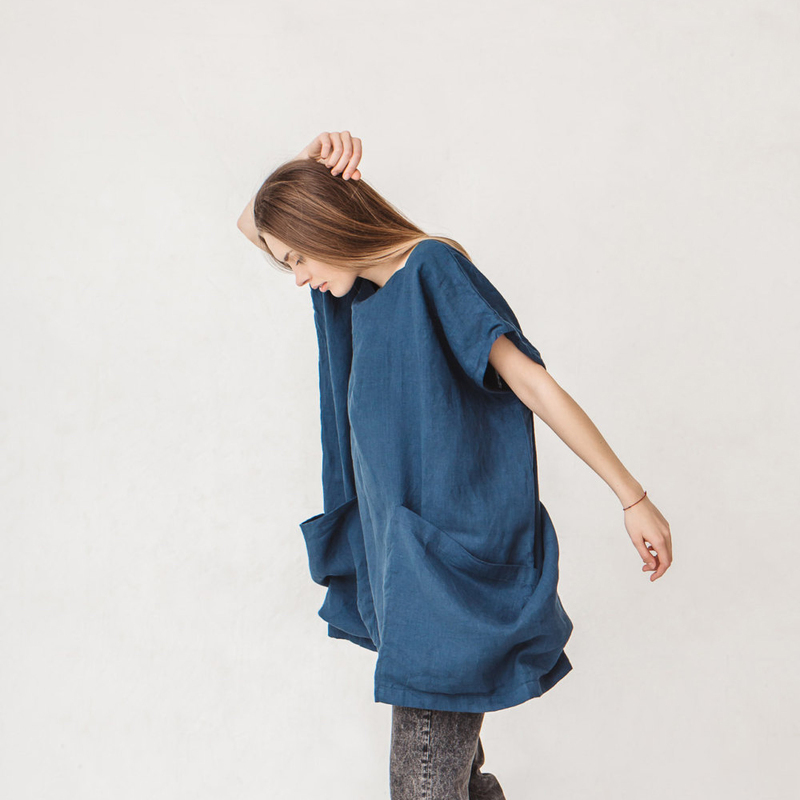 We recommend to look in Linenfox shop for these beautiful linen clothes.